Although gloves are a commonly used product today, the five-fingered variety didn’t really come into regular use by the common man until sometime during the 18th century, when they began to be ‘mass-produced’ for public consumption. Prior to that, gloves were usually only worn by the aristocratic classes (often as a status symbol) and some high ranking soldiers heading into battle. The peasant classes had to be content with wrapping rags around their hands to protect them from injury or the cold, or using some sort of crudely-made mitten which provided no freedom for the individual fingers to move independently. Today, pretty much every man owns at least one pair of gloves, and producing them has evolved into a multi-billion dollar per year business. At its most basic, a glove provides protection to the hand while (with some exceptions, noted below) allowing a person’s fingers freedom of movement. Gloves can be an integral part of a man’s overall work equipment; part of the fashion statement he is making; or designed to protect his hands from specific sorts of hazards. They can be made of literally dozens of different materials, manufactured in both standard and non-standard sizes (for example, one size fits all), and come in an extremely wide range of price points. Although it should be obvious, it must be pointed out that the term “men’s gloves” is a relative one in the modern world as in many cases gloves are really no longer gender-specific. Many of the types listed below can also be utilized by women, and sometimes children. So with that in mind, let’s take a look at some of the different types of gloves for men. Although pretty much every glove provides some form of protection to the hands, what we are calling ‘protective’ gloves are those that are primarily used to prevent general – and in some cases specific – types of injury to the hands. Depending on the type, protective gloves can be either generally sized (small, medium, large) or form-fitting. Thermal gloves (often referred to as winter gloves) are specifically designed to protect the hands and fingers from cold and prevent body-heat loss through the hands. As one of the human body’s extremities, the hands (and particularly the fingers) are susceptible to frostbite when exposed to very cold temperatures for a prolonged period, which can lead to tissue damage and, in extreme cases, amputation. 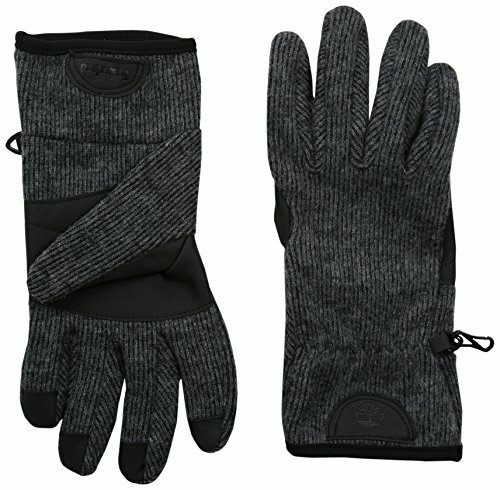 Consumer thermal gloves (the ones men wear when heading out in cold weather) are made of a number materials including wool, leather, and synthetics (polyurethane, polyester, etc.) and are often lined with a soft, comfortable material such as fleece. They will sometimes have an additional waterproofing or insulating coating on the outside, and come in a large variety of styles. In their industrial applications, thermal gloves are standard equipment for men who work in cold environments (meatpacking, refrigerated storage) as well as those working in industries in which only their hands are exposed to cold (HVAC, frozen-food handling). In many cases, industrial thermal gloves will be made of tougher, more highly resistant materials such as certain rubbers or plastics specifically developed to withstand extremely cold temperatures. They will almost always be waterproof, and high-end products often offer enhanced tear-resistance. 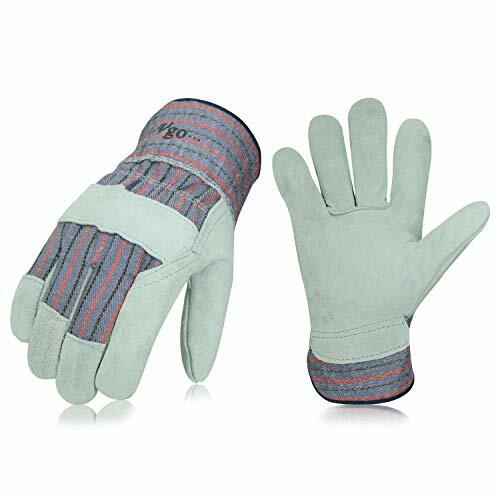 Also sometimes called safety or gardening gloves, general work gloves are used by professionals and the common man when engaging in a plethora of work activates including landscaping and gardening; home repair or construction; working with hand or power tools – essentially anything that poses a risk of injury to uncovered hands. 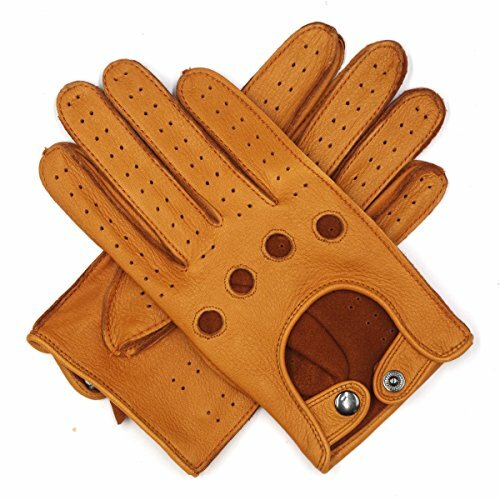 Often made of canvas, cowhide, and more recently synthetic materials, general work gloves are puncture and tear resistant, although they will usually not be overly waterproof or particularly resistant to cold or heat. Many types will come with rubber palm and finger coverings to provide increased grip. Some general work gloves will come in bright orange or yellow to provide increased visibility (for example, in highway maintenance or construction). Chemical resistant gloves (sometimes simply called rubber gloves) are used in both the home and in a number of industrial applications. In the home, they are typically used to protect the hands from harsh cleaning products; pool maintenance and plumbing products; exposure to fertilizers, petroleum and adhesive products; stains and varnishes; and spray paints and lubricants. In industry, they are used to do pretty much the same thing, although often on a more heavy-duty, chemical-specific basis. Most chemical resistant gloves will cover the hands and the upper part of the forearm, to provide additional protection against splashing; some will extend up to the elbow for added coverage. These gloves are generally made from latex and non-latex rubbers with a fabric inner lining and are often additionally coated with neoprene, PVC, or some other water resistant plastic or rubber. Used quite widely in industry and by serious, dedicated do-it-yourselves impact resistant/anti-vibration gloves (sometimes called mechanic’s gloves) are typically worn by men who work with heavier tools or parts, and those who use more violently vibrating machinery (weed-whackers, chain or reciprocating saws, etc.) on a regular basis. 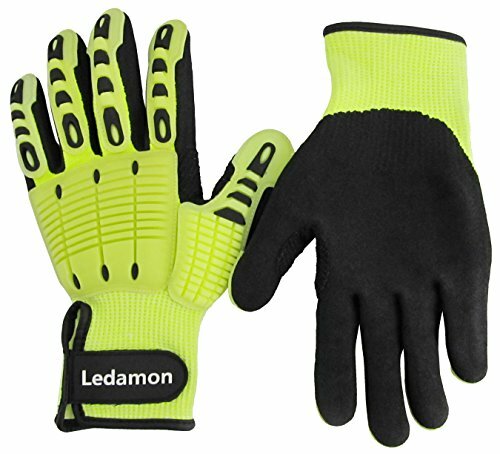 Basically a general work glove with a little more muscle, these gloves offer increased padding to lessen the affects of vibration, and non-slip palms which allow the user to better keep their grip on the tool. They also have enhanced protection (often polyurethane or nitrile) for the fingers and back of the hand to resist damage caused by various types of impact. These work gloves will generally run a few dollars higher than general work gloves because of the increased protection they provide. 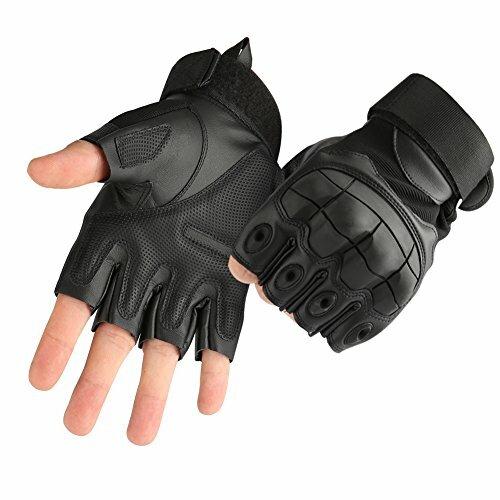 While these could also fit in the fashion section of this article because they just look so damn cool, or the sports section because they are often used by athletes, fingerless gloves (also called glovelettes) are gloves in which the finger-coverings are cut off, normally just above or below the second knuckle. Fingerless gloves provide protection to the palm, back of the hand, and lower fingers while leaving the upper fingers unencumbered, allowing the user more dexterity. Often made of leather or tough synthetic materials, these gloves are popular with bikers, military and police personnel, weightlifters and other athletes. Hunters, archers, and gun enthusiasts all widely use this type of glove. Convertible fingerless gloves are available which feature a removable mitten that attaches to the bottom of the glove (usually with snaps or a Velcro fastening) for warming the fingers. Gloves with just the tips cut off and sometimes called texting gloves were quite popular a couple of years ago, but are being rapidly being supplanted by touch screen gloves (discussed below). As is the case with so many things in fashion, there aren’t nearly as many style and material choices when it comes to gloves for men as there are for women, and yet they can have a powerful impact on a man’s overall look. Generally speaking, the type of glove a man will choose to wear will have to do with what they are made of, lined with and what else he is wearing as opposed to length, accoutrements or a standard ‘named’ style (for example matinee, opera, etc. in women’s fashion). While in modern society the majority of ‘fashions’ when it comes to men’s gloves will involve thermal gloves (discussed above) worn to keep the hands warm, there are some exceptions. Often also referred to as dress gloves, formal gloves are not just worn to formal occasions. They are often a part of standard white collar business attire (usually worn as part of a suit) and in many cases are the type of glove a man will normally wear just to keep his hands warm when not engaging in any type of labor that might damage the glove. As the ideal of the formal men’s glove is ‘elegant simplicity’ they are predominantly black (although as fashion rapidly changes this is not as much of a hard and fast rule as it once was), formfitting, and made of fine calfskin, kidskin, or lambskin leather. They are also usually thinner than most other types of gloves. Generally speaking these gloves will have simple lines and sometimes feature raised stitching and dark fur cuffs. 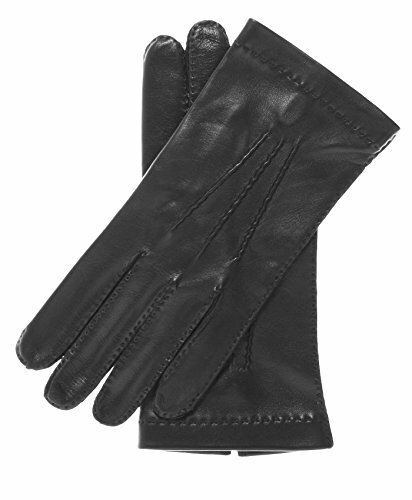 Available in both lined and unlined varieties, popular linings for these gloves include cashmere, silk, rabbit fur and more recently some ultra-soft synthetic materials. Military (or parade) formal gloves are often slightly longer (sometimes called ‘tuxedo length’) white gloves and will often be made of cotton or synthetic materials. These gloves are (as the name indicates) often used in military-style honor guards and marching bands. Once the suit comes off and it’s time to go casual, the sharp-dressed man will often opt to exchange the black leather gloves for something less formal, and a bit more durable. Brown suede gloves are a popular choice in the casual category as they will match most casual brown shoes, as are brown pigskin gloves which have a slightly raised, bumpy texture akin to a football. Different dark colored synthetic (or faux) leather gloves are also popular choices, as these will often be more durable and easier to clean than the real thing, as well as less expensive. As elegant simplicity is no longer the goal of the ‘look’, casual men’s gloves will often feature functional additions such as zippers, straps and snaps to aid with sizing and fit. 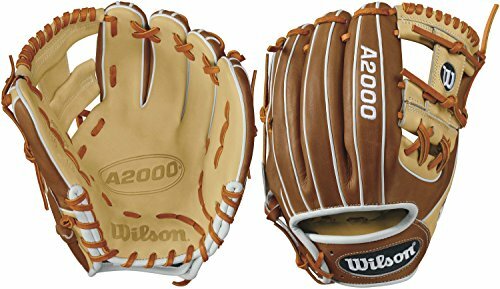 They will also often come in two-toned varieties, feature colorful, decorative stitching, and may be slightly longer than formal gloves to provide extra protection to the lower part of the forearm. Driving gloves were once a very important type of protective glove which have evolved into a fashion glove. In the early years of the automobile, prior to the invention of advanced maneuvering systems, steering a car was more a matter of muscle than manipulation, and the hands would often develop blisters and calluses. Additionally, many steering wheels were made of wood, making splinters a constant threat. Today, driving gloves are usually made of leather or synthetic materials with excellent gripping capability. They are normally very thin and usually unlined (to allow the driver to better ‘feel’ the road) and will often feature small cutouts at the lower knuckles and at the back of the wrist to aid in dexterity and freedom of movement. Some driving gloves will have small perforations or holes throughout the glove to improve ventilation and help keep the hands dry. Informal gloves encompass pretty much any other type of glove a man wears purposely to coordinate with the rest of his outfit. They will often have fashion or sporting goods manufacturers’ logos on the back; can be made out of just about any material; be pretty much any length; will often be brightly or multicolored; can feature straps, snaps, zippers, hooks or clasps; and will sometimes feature intricate designs and even artwork. The only real rule here is that the gloves help to enhance (or at least go with) the overall look the man is trying to pull off. Otherwise, as long as they aren’t the same old dirty gloves you use to shovel your walkway in the winter, pretty much anything goes. While very often overlapping with both protective and fashion gloves, sports gloves are those that were originally designed to be used by individuals while engaging in some kind of sport or athletic activity. Although in our current age of specialization virtually every sport seems to have its own unique type of glove, men’s sports gloves can be generally divided into two very broad categories: padded and grip. 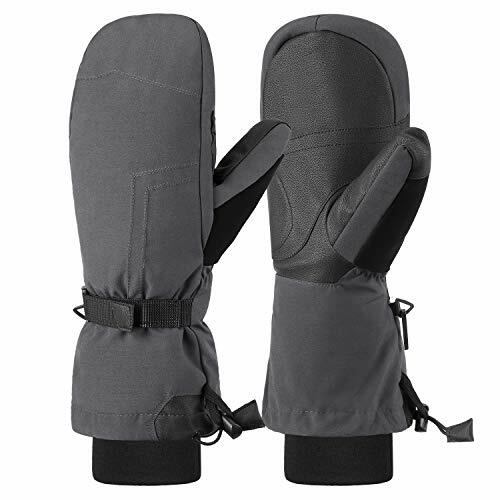 Padded sports gloves, as the name indicates, offer additional padding to the hand or hands to help prevent injury. Actually a type of specialized protective glove, padded sports gloves are usually made specifically for the sport (and sometimes the position) they are used in, and so their designs will vary greatly. Depending on the sport, these gloves will be worn on both or only one hand. Padded sports gloves are usually made of hard-wearing leather, and will offer varying levels of padding depending on the sport and position of the player. Examples of common padded sports gloves include those used in baseball and softball, boxing and kickboxing, hockey, lacrosse, cricket, skiing, and some competitive martial arts. Gloves that are primarily used to improve the grip a player has on a piece of equipment used in a game will usually be thinner than padded gloves, form-fitting, and often will be made of leather or have grip-enhancing materials incorporated into the palms and the front of the fingers of the gloves. Many will feature small perforations throughout the glove to provide ventilation and help keep the hands dry. Grip gloves used in some sports will often be fingerless. 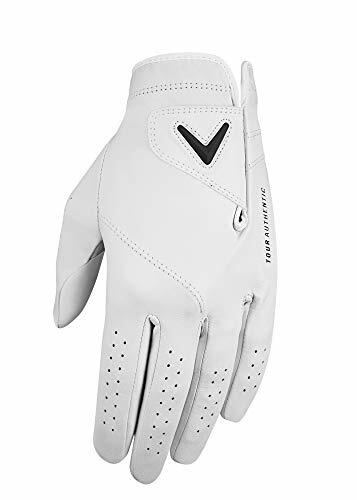 Most often used in pairs, some grip gloves are only usually used on one hand; for example, a golfing glove is usually only worn on the player’s non-dominant hand. 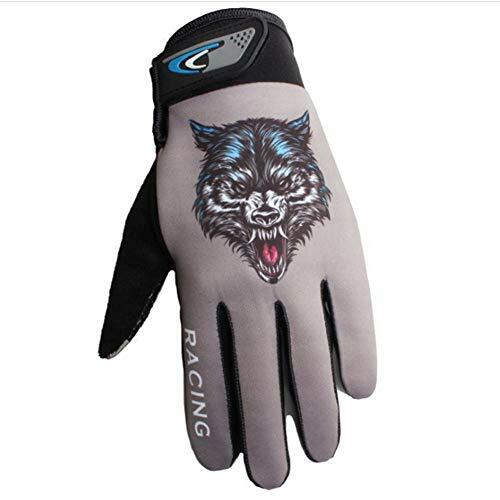 Other sports in which grip gloves are widely used include American football, batting gloves in baseball, racquetball, fencing, cycling, archery, weightlifting, racecar driving, motocross, and billiards. 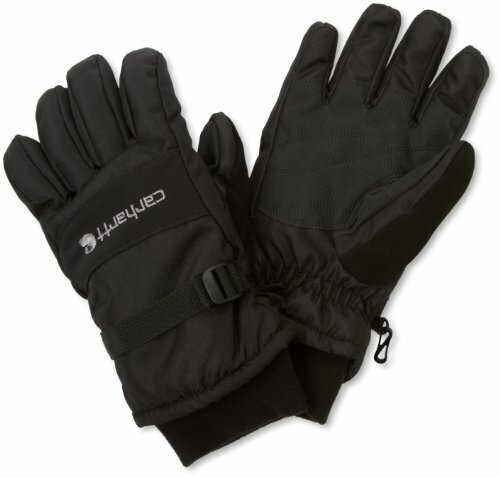 Touch screen gloves are designed to allow you to use your touch screen devices (cell phone, iPad, etc.) without having to remove your gloves. Basically, the fingertips of the glove feature (or are coated with) conductive materials that mimic certain qualities of human skin (at least to the device) that will cause the device to react just like it would to your actual, uncovered fingers. Over the last several years, the touch screen feature has become very popular in all three of the major glove categories. It will usually not impact either the look or feel of the glove, will have little if any effect on the price, and is a heck of a lot more convenient than having to take your gloves off to answer a text. Perhaps the oldest type of commonly used glove and certainly one of the most basic, mittens typically will have a sheath for the thumb while the other four fingers are housed as a single unit, without separate sheathes. Because of this simple design, mittens will actually usually be warmer than other types of gloves. Due to their increased thermal efficiency, mittens are usually used by men in very cold climates, or who spend a great deal of time in cold environments in occupations or activities that require only minimal hand dexterity. They are also often used in warm or hot environments to provide general hand protection when performing simple tasks: an example of this would be a chef using an oven mitt (short for mitten) to handle a hot casserole dish. In the sports world, boxing gloves and baseball catcher’s mitts are both types of mittens. Mittens are also widely used by skiers and snowboarders. Gauntlets were military gloves widely used by soldiers who usually engaged in hand-to-hand combat starting in about the 14th century and ending for the most part in the mid-18th century, with the advent of more mechanized and firearm dominated warfare. Gauntlets were usually made of chainmail, hardened leather, or plated armor and were built to withstand a blow from a sword or small battleaxe. They were often worn as part of a suit of armor. Gauntlets typically covered the hand (either in glove or mitten-style) and would usually extend well past the wrist up the forearm. Generally very heavy, gauntlets were normally used only by the strongest of men, and even then proved quite cumbersome and limited the movement of the entire arm. The well known expression ‘throw down the gauntlet’ continues to be used when one person challenges another. No longer used in military applications, gauntlet-style gloves (made of different materials) are used by welders and iron workers, some motorcyclists, and falconers.